Chris Moyles has finally confirmed he's the new breakfast DJ on Radio X - the name of the revamped XFM - from 21st September 2015. The announcement on Twitter follows months of speculation, gossip, tabloid headlines and fervent discussion in the radio industry about the future of XFM and the next role for the former BBC Radio 1 breakfast show presenter. It ended up becoming the worst kept secret on the radio industry - or perhaps deliberately so in order to generate unprecedented amounts of publicity for a DAB station. 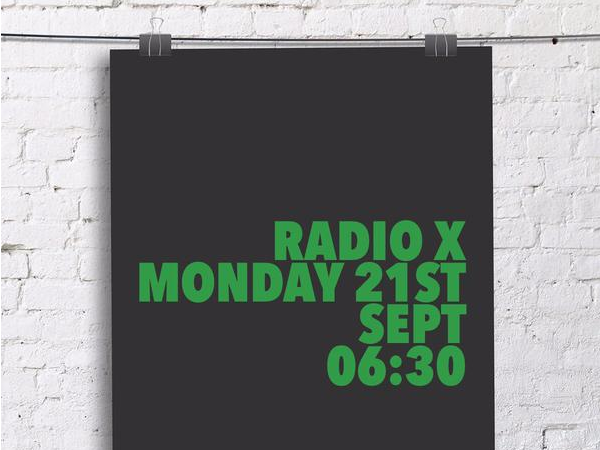 Global Radio, operator of Radio X, will launch the station using capacity on the national Digital One DAB multiplex, broadcasting on the same DAB frequency as Classic FM and Absolute 80s. Until now XFM has only been broadcast in some regions on DAB, and in recent months some areas have even lost XFM on DAB. Listeners in London and Manchester can receive the station on FM, but Global is giving up its Scottish FM frequency serving Paisley and Glasgow, as it wasn't permitted by Ofcom to replace Scottish shows with the full network schedule. Update: Gold will replace XFM on local DAB, except where Gold is already available. In those places Chill will replace XFM.